Did illness break out at your Turkish hotel? Did you eat correctly prepared hot food? Did you notice any symptoms of food poisoning while you were there? Are you seeking compensation for vacation wrecked by illness and you need expert holiday claims solicitors? For free help call us on 0808 145 1353 or contact us using the online form. Turkey Holiday Illness Claims – what am I legally entitled to? If you took a package holiday, the company you booked with is responsible for the wellbeing of you and your family. At any point within 36 months of the illness occurring (or, if it's a youngster, within the same period of the child attaining the age of 13) you can make a holiday claim under the terms of the Package Travel Regulations 1992. 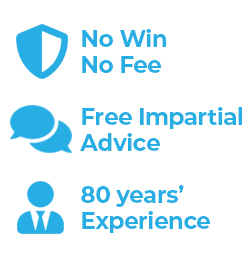 For no-charge guidance about compensation, write to us or talk to our specialist solicitors without delay. What sort of illness could I get in Turkey? Luckily becoming unwell in Turkey doesn't often happen. But we still get many enquiries from holidaymakers who have come home feeling ill because of food poisoning. Have you been ill because of one of these? Contact us for free guidance. Which tour companies does Simpson Millar deal with? Our claims solicitors have successfully concluded hundreds of compensation claims for people who have become ill due to food poisoning overseas. Did you become ill after choosing a package from among the following? Tell us and we'll try to assist. Holiday-Hotel-Watch.com will tell you the Turkish hotels for which our specialists have been contacted. If you're aware of one in Turkey struck by infections or illness, contact us. Simpson Millar LLP is partnered with HolidayTruths.co.uk – Britain's most unbiased source of holiday reviews. Call Us on 0808 145 1353 or contact us with the online form. Simply complete the form below and our travel law team will get back to you. £38,700 illness compensation after action was "unnecessarily prolonged"
Costa Rica – It’s a Long Haul if you Suffer Illness from Food Poisoning! First Choice Holiday Village Menorca Illness – Same Old Story? © Simpson Millar LLP Solicitors 2010 . On Holiday Illness Claims is a trading name of Simpson Millar LLP. Simpson Millar LLP is a limited liability partnership registered in England and Wales - Registration No: OC313936. Registered office: 21-27 St Paul’s Street, Leeds, LS1 2JG. VAT number 823 8367 14. A list of members is available from our registered office.